Outpatient Joint Replacement Surgery: Is it Right for You? The latest trend garnering attention in the orthopedic industry is the performance of joint replacement surgery in an outpatient or pseudo-outpatient setting. Some of the reasons for this shift include the potential to avoid the bottlenecks and inefficiencies of an inpatient hospital scenario, reduce costs of the procedure overall, improve the patient experience, and create a competitive advantage through a cutting-edge approach. Only a handful of hospitals currently provide outpatient joint replacement within their portfolio of orthopedic services; in fact, many hospitals and providers around the country are still learning about it. Depending on point of view, outpatient joint replacement can certainly be viewed as a competitive advantage or threat, especially since programs that provide these services are gaining market foothold, even hundreds of miles away. Corazon believes that an outpatient joint replacement program can reap the benefits above, but only if built on the strengths of the entire clinical team, along with favorable market dynamics, demographics, and population health index. A market analysis and business plan can be an invaluable first step. Then, when moving forward, greater considerations emerge. Based on Corazon experience, successful programs have several key building blocks in common. A hospital must ensure that reimbursement by government and private payors covers total joint replacement procedures in an outpatient setting at the same (or very similar) level of cases performed in an inpatient setting. Without this assurance, the orthopedic program (or facility as a whole) may experience a significant hit to financial margins. During the initial phases of a program, only elective, non-complex procedures should be considered for the outpatient setting. This is important in order to increase the likelihood of success while allowing for learning of a new care process and refining policies and procedures based on the learning. Also important is having contingencies in place to handle any medical complications that may arise. The patient selection criteria should ensure that candidates for the procedure are the most appropriate in terms of ability/potential to have a successful surgery experience and full recovery. The more thorough the patient preparation, the higher the probability of success. This includes managing all preexisting clinical conditions to minimize complications, clarifying discharge planning, setting clear patient expectations, and ensuring patient and family education and support. Appropriate anesthesia techniques and pain control are crucial to the success of an outpatient program. Patients need to be assured that going home on the same day after a joint replacement surgery will not cause any significant pain or discomfort – that choosing the outpatient approach was best. Minimizing the level of pain and providing adequate education will help patients make the best choice between inpatient or outpatient joint replacement. Creating a perioperative process that facilitates efficiencies, improves provider satisfaction, and minimizes the length of surgery can result in lower complication rates, such as blood loss, surgery trauma, and infections. In conjunction with newer anesthesia techniques and advanced pain control, protocols for rapid recovery must be deployed to ensure that patients are able to go home on the same day. Additionally, establishing expedited physical therapy sessions with patients, such as standing and walking shortly after surgery, will help guarantee the ability of the patient to reach prescribed discharge goals. From a care perspective, patients who are candidates for outpatient joint replacement surgery need to be clustered in an outpatient or observation unit with similar patients or other outpatient surgery recipients. This arrangement helps create the proper environment for patients to be psychologically ready to go home on the day of surgery. Patients who undergo this type of procedure must be well-supported throughout the care continuum by family members or close friends. The hospital should explain that the home situation needs to be arranged to provide the optimal experience for rapid healing and recovery. No matter the patient situation, the thought of going home on the same day of a major operation like joint replacement surgery can be scary for most people. Because of this, patient education and psychological preparation for surgery are critical to success… clinically, operationally, and in terms of patient satisfaction and recovery. Industry trends reveal that while hospitals and providers are currently very slowly determining if and when to pursue outpatient joint replacement surgery, such programs are emerging around the country in increasing numbers. And, those programs that are implementing are leveraging this service as a means to gain real competitive advantages over other local and regional facilities. Early adopters can also leverage these programs for marketing and growth opportunities of the overall musculoskeletal service line and other related services. The time is now to consider whether outpatient joint replacement can thrive at your organization…. 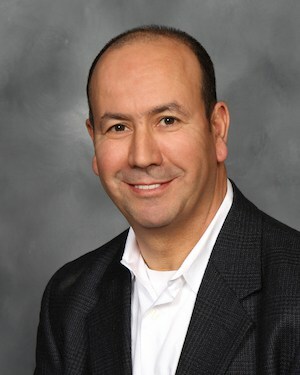 Djamel Bayliche is Vice President of Corazon, Inc. Corazon offers consulting, recruitment, interim management, and information technology services to hospitals and practices in the heart, vascular, neuro, and orthopedics specialties. Find Corazon on facebook at www.facebook.com/corazoninc or on LinkedIn at www.linkedin.com/company/corazon-inc. To learn more, call 412-364-8200 or visit www.corazoninc.com.